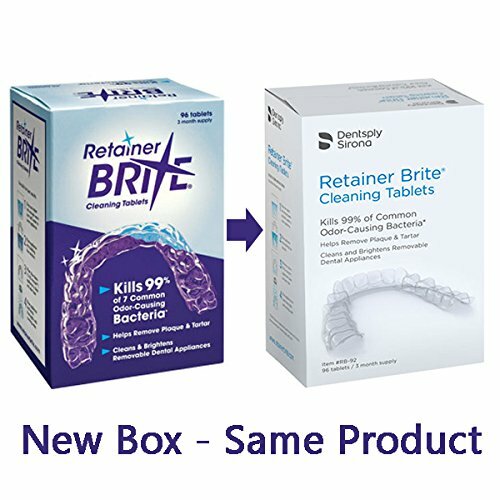 Retainer Brite® Cleaning Tablets - 6 Month Supply Specially-Formulated to Help Keep Removable Dental Appliances Sparkling Clean Kills 99% of Common Odor-Causing Bacteria* Helps Remove Plaque & Tartar Cleans & Brightens Removable Dental Appliances** Certified Kosher (2) 3-Month Supply Boxes; 96 tablets per box; total 192 tablets *Kills 99% of common odor-causing bacteria including: Staph aureus, E. coli, P. aeruginosa and F. nucleatum. Data on file. Independent 2016 U.S. lab testing (ASTM method E2315-03). 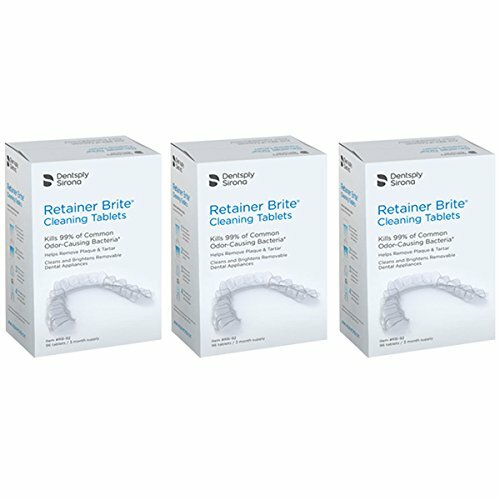 **DO NOT allow wire appliances to soak for more than 15 minutes. Remove promptly and rinse thoroughly with water. 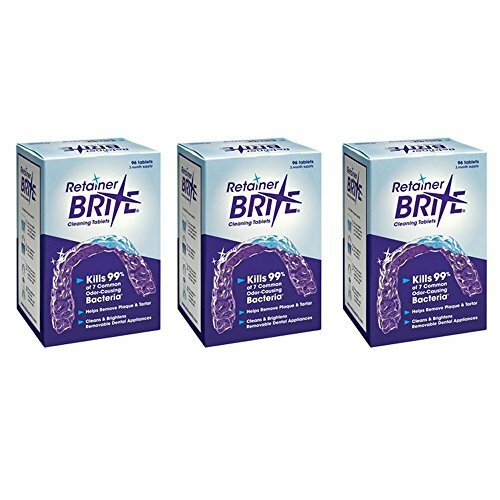 If you have any questions about this product by Retainer Brite, contact us by completing and submitting the form below. If you are looking for a specif part number, please include it with your message.